Tuscany is a region of Italy rife with beautiful destinations appealing to tourists. 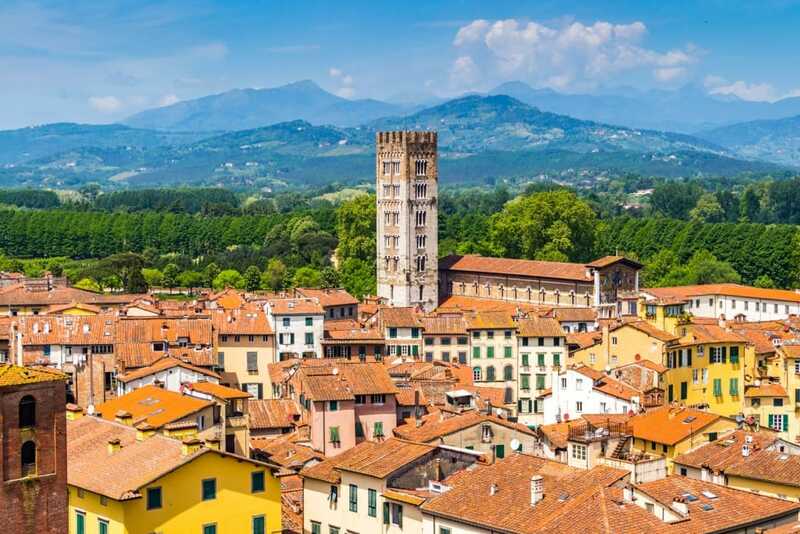 Cities like Florence and Siena may grab most people’s attention, but the small city of Lucca may well be the region’s most underrated destination. A scenic and historic walled city, Lucca reflects that romantic image that people have of life in Tuscany. Those who choose to visit aren’t going to be disappointed, especially as you only need 1 day in Lucca to uncover its charms. Close to Florence, Lucca is an increasingly popular day trip for those looking to see more of Tuscany. Lucca isn’t a huge city and is actually an easy place to go sightseeing when you know what you’re doing. Armed with our Lucca itinerary, you can head straight for the city’s main attractions without any messing around. 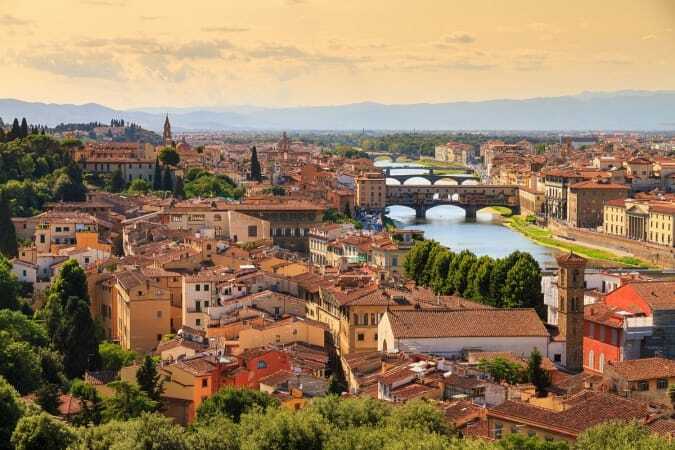 So let’s get to what to do in Lucca in 1 day so you’ll be ready to visit this Italian gem. To get the most out of a visit to Lucca, it helps to choose carefully the best time to go. Ultimately, the best time to visit Lucca depends on what kind of weather you’re looking for, how busy you like your destinations, and how it fits in with your other travel plans. High season throughout Tuscany, including Lucca, is the hot summer months of June, July, and August. 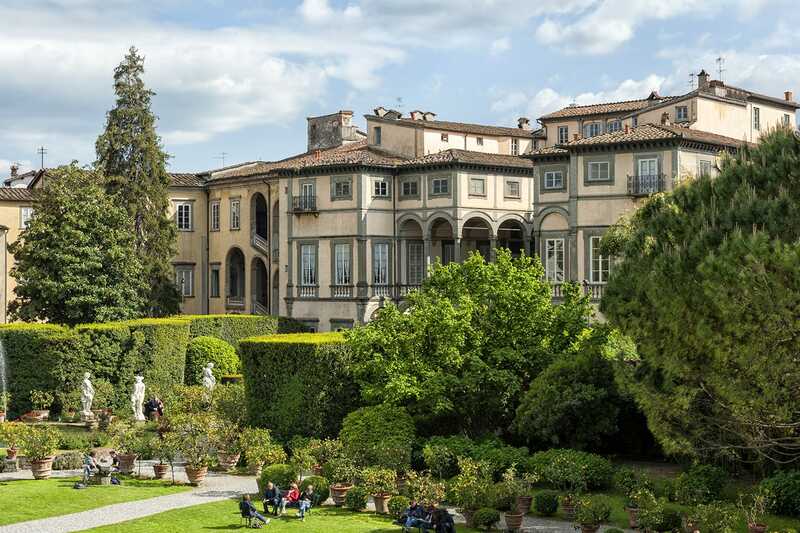 While Lucca won’t be as insanely busy as places like Florence or Rome, it is still peak season, which means more expensive accommodation and longer lines. Plus, with Lucca being a popular day trip from Florence, you can expect plenty of day trippers at this time of year. The complete opposite to summer are the winter months of December, January, and February when the city is cold and a little rainy, and certain attractions like the Torre Guinigi are closed for the season. A far more pleasant option for seeing the best of Lucca is to visit during the city’s shoulder season. 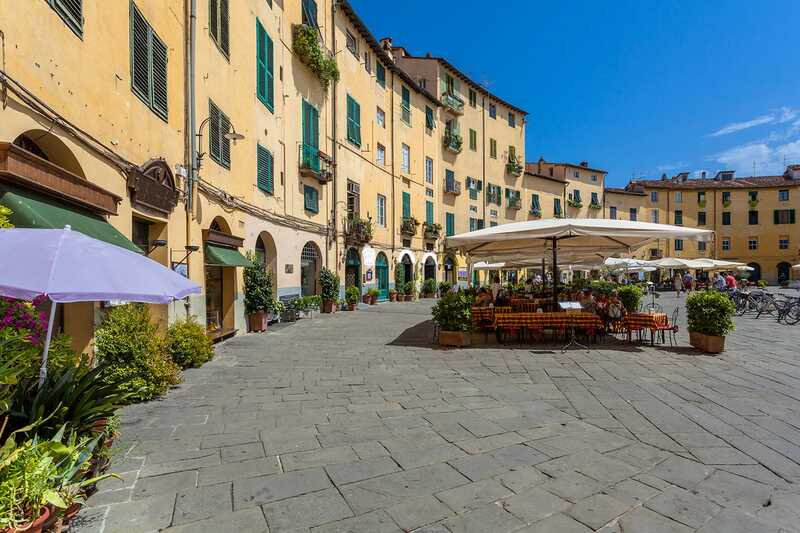 The months of April and May, as well as September and October are ideal for visiting Lucca as the weather at these times of year includes pleasant temperatures and minimal rain. You also won’t have to contend with quite so many other tourists to see Lucca’s attractions. Being a small and compact city, you’ll find that getting around Lucca is relatively straightforward. While visiting Lucca, you’re going to spend much of your time getting around on foot. Roughly half the streets in the center of Lucca are pedestrian streets, so walking is the easiest way to get to many places. And even though the historic center is somewhat of a maze, it’s easy to get your bearings thanks to the huge town walls that surround it. 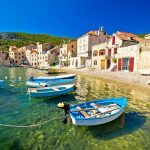 Of course, there are alternatives to walking to get you around the city such as hopping on a bicycle and riding along the track on the top of the city walls. There’s also the easier approach of taking a bus. Because the streets are narrow there are only a few buses that weave their way through them, with more services outside the city walls such as on the loop around the ring road. Tickets for the bus start at €1.50 for a 70 minute single ticket. 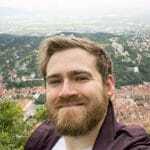 To those considering driving around Lucca; a word of warning: Driving inside the city walls of Lucca is limited mostly to locals with permits. If you drive, your best bet is to park your car outside the city walls. 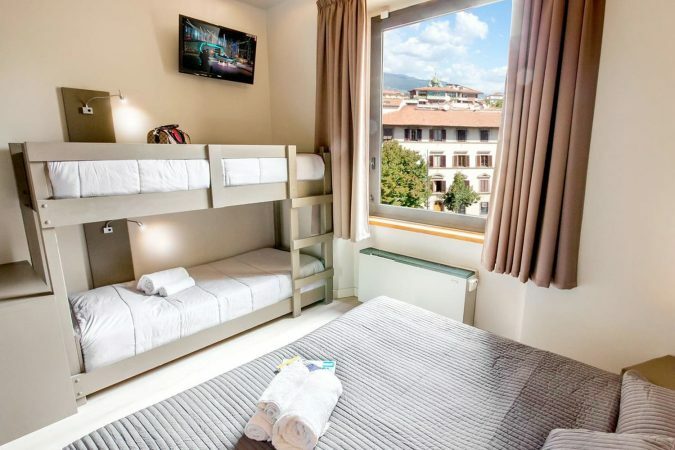 If you’re staying the night in Lucca, ask your hotel where is best to park, or find a parking garage near the closest city gate to your accommodation to reduce how far you have to lug your baggage. Just because it’s possible to see Lucca as a day trip from Florence doesn’t mean you can’t choose to spend a night or two there if you like. That’s especially true given how much choice there is in accommodation and how uncomplicated it is to work out where to stay in Lucca. Because it is a walled city, you want to stay within the city walls or immediately outside them to best enjoy your visit. That is where you’ll find the best places to stay in Lucca, without question. Visitors to Lucca looking for somewhere special should look to the Hotel Alla Corte degli Angeli for their stay. This lovely four star boutique hotel has plenty of character, winning guests over with their attentive staff and inviting room decor. A great choice for those looking to enjoy their time in Lucca without spending too much is B&B Anfiteatro. 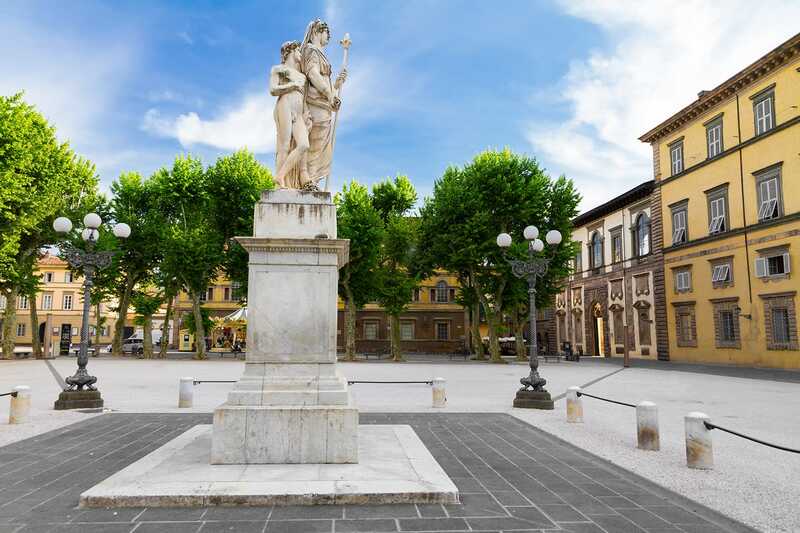 Located on the outer ring of the Piazza dell’Anfiteatro, this B&B provides guest with spacious rooms and a great breakfast spread. Unfortunately, Lucca isn’t a destination that generally caters to backpackers and those after budget accommodation. That being said, there are a few more affordable places to stay like the Luce guesthouse. Though it’s a bit outside the city walls, this guesthouse makes up for it with friendly hosts and nice clean rooms. For more accommodation options in Lucca check out Booking.com. They continuously offer the best rates and their custom service is on point. Even though you only need one day to take in Lucca’s sights, don’t assume there isn’t much to see in this fascinating Tuscan city. Quite the opposite actually, it’s just that the city’s historic center is so compact that none of the best places to visit in Lucca are all that far apart. With a day you can hope to see all that Lucca has to offer within its historic center as well as the city walls which encircle it. However, before we get to our Lucca itinerary we just wanted to remind you to purchase travel insurance. You never know what will happen and trust us, you do not want to get stuck with thousands of dollars in medical bills. 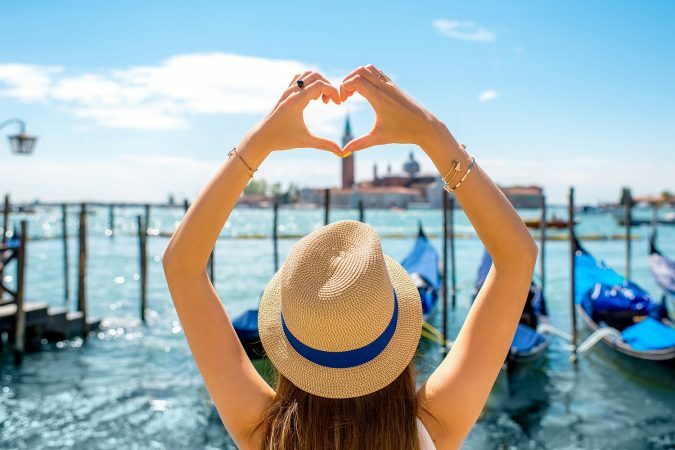 As a wise man once said, “If you can’t afford travel insurance, you can’t afford to travel.” So don’t leave home without it. 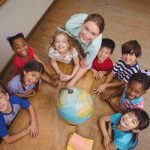 We recommend World Nomads. With that important detail fully covered, let’s jump right into our Lucca travel itinerary which will detail everything you need to know to properly see Lucca in 1 day. 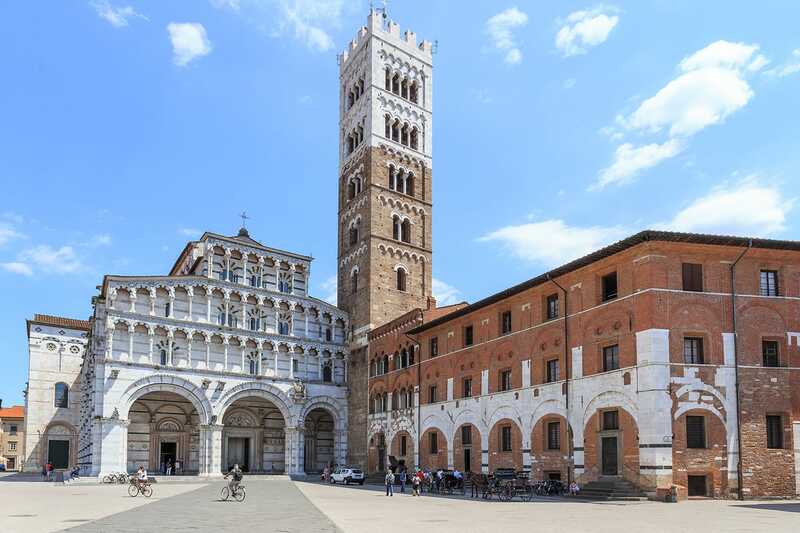 Within the walls of Lucca lie many historic churches, but the San Martino Cathedral is one which stands out. 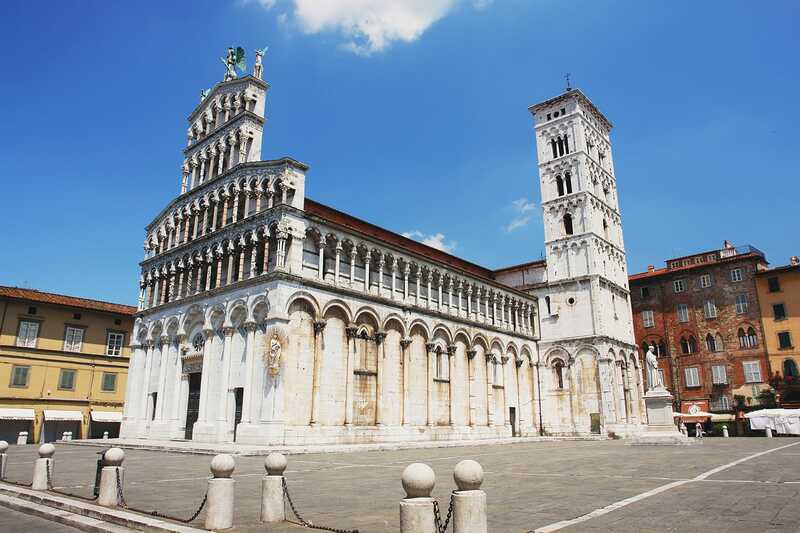 The Lucca Cathedral makes quite a statement with its grand Gothic architecture and mix of marble and brick. Unlike the Duomos in Siena and Florence, this Cathedral isn’t all that tall and yet it still manages a large presence. Perhaps that’s because of its large marble hall, or the incredible level of detail everywhere, like the stone carving and paintwork on the building’s front facade. While visiting the cathedral, don’t miss a climb up the belfry to get your first view right across all of Lucca. Given how compact the city center of Lucca can seem, it may come as a surprise the first time you step into the Piazza Napoleone. This broad square seems too large for the city center that it belongs to. Lined with trees and often boasting a merry-go-round or various seasonal festivals or events, the square is usually a lively place for locals to meet. On the square, it’s also hard to miss the Palazzo Ducale Di Lucca, a Renaissance palace that now houses multiple administrative bodies. Walking the streets of Lucca you may get the impression that the city isn’t quite as grand as its Tuscan neighbors. That all changes when you reach the Piazza San Michele. 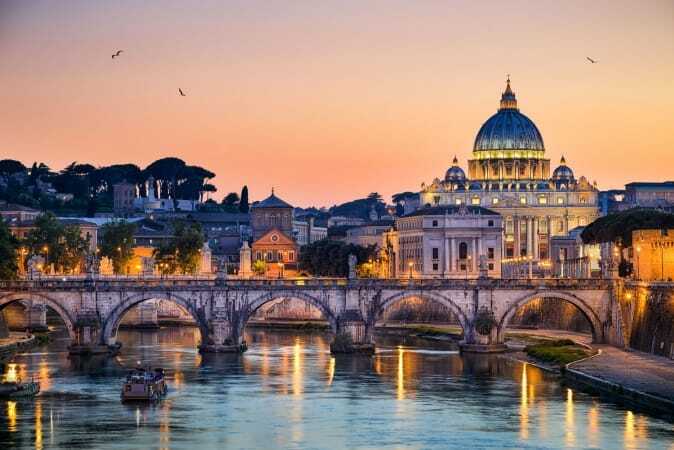 This L-shaped square is bursting with graceful architecture, including the Praetorian Palace, converted banks, and the square’s focus, the Chiesa di San Michele in Foro. Taking center stage, this white marble church has a steep front facade packed with columns and statues. 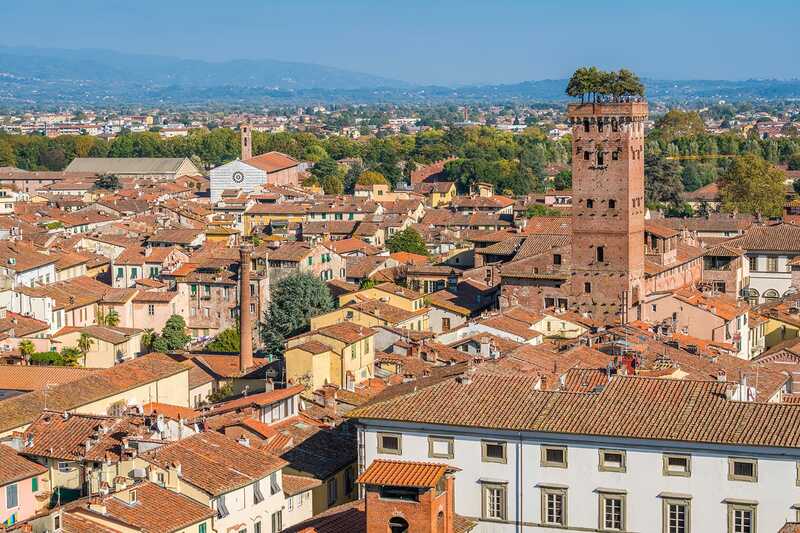 One of Lucca’s most distinctive features is the many medieval towers within its historic center. Many of these towers can be climbed and have panoramic terraces that afford you a view across Lucca’s rooftops. Each of these towers is special and has its own heritage, but none are anywhere near as iconic as the Torre Guinigi. What makes the Torre Guinigi so interesting is that you can find oak trees sprouting from the roof of the red brick tower. It’s a rather peculiar sensation to sit in the shade of these trees on this narrow rooftop as you look out over Lucca. But, the Torre Guinigi is best appreciated from a little farther away. To get a good city view which also includes the Torre Guinigi, it’s best if you climb the Torre delle Ore instead. Of the many piazzas in the old town of Lucca, none are quite as distinctive as the Piazza dell’Anfiteatro. This is because this piazza rather unusually, has an oval shape similar to that of an arena. Around it are houses creating a complete ring. It’s not so unusual once you find out that this is piazza is actually on the spot where an ancient Roman amphitheater once stood. Entering the piazza through one of the tunnels at either end, you pass outdoor seating for cafes and restaurants which fill the space. It’s hard not to be intrigued by the way the traditional buildings gradually curve right around you and it can be a fun challenge to try and fit it all in one photograph. Having seen them throughout the day, it’s now time to check out the impressive city walls of Lucca up close. First find the nearest city gate to you, which will likely be the Porta Santa Maria if coming from the Borgo Gate. After taking the nearby ramp you can begin the track circuit that is so popular with runners and cyclists. Walking along allows you not only to admire these ancient walls but also the views into and away from the city itself. 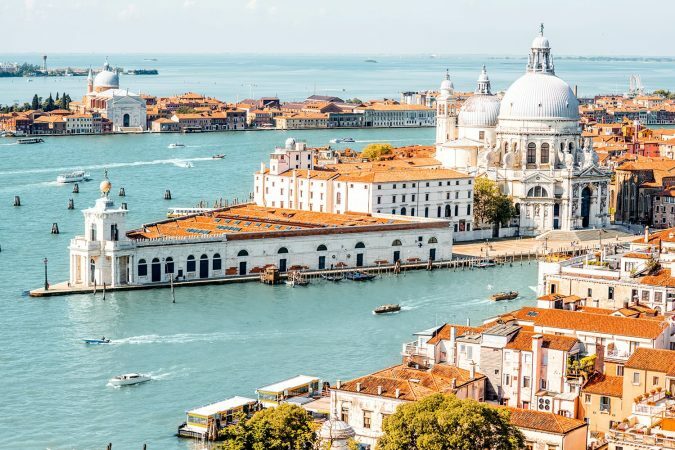 You may be surprised to learn that these walls built in the 16th and 17th century were designed by none other than Leonardo Da Vinci. The walls were built to replace older medieval and Roman city walls and they run for roughly 4km. When they were no longer strategically useful, the walls became a green leisure space which they are still used as today. 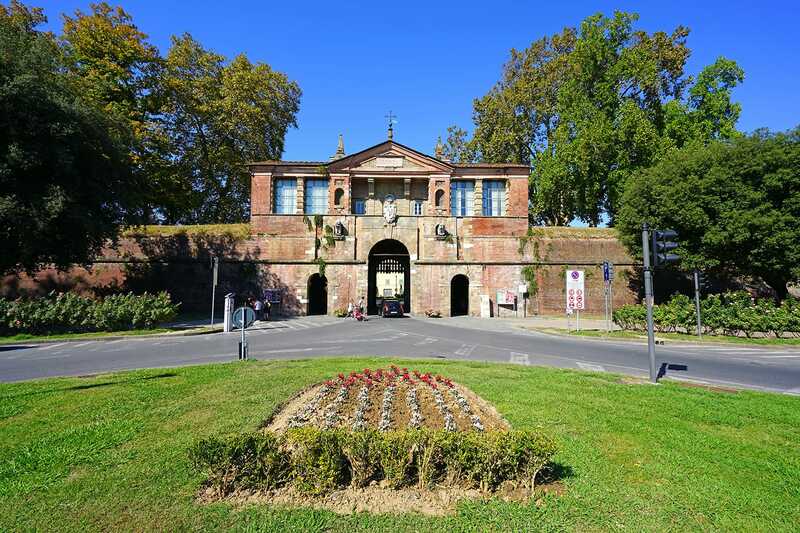 Lucca is home to many palaces within its historic quarter, a few of which you can actually visit. Perhaps the one most worth visiting is Palazzo Pfanner at the northern end of town. 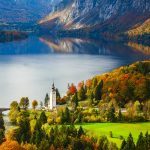 On a visit there, you not only get to see the interior of this 17th century palace, but also the palace’s garden that people most often rave about. Coming out of the palace you descend an ornate covered staircase that brings you down into the elegant sculpture garden with a fountain and lush foliage. Probably Lucca’s most famous native son is the acclaimed opera composer Giacomo Puccini. Little wonder then that the house in which he was born in 1858 is now a museum dedicated to the man and his life’s works. Exhibits in the Puccini Museum include rooms that have been re-furnished as they originally were, including the piano that Puccini used to compose with, as well as paintings and early drafts of his work. Even though you can comfortably cover the highlights of Lucca in a day, you may decide to spend more time there. 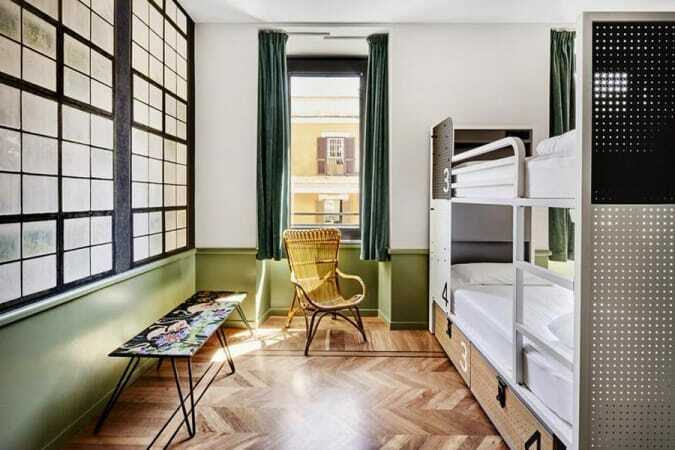 Aside from exploring every nook and cranny of the city, you can also choose to use Lucca as a base to venture out into the surrounding countryside. Here are a few options if you have more than 24 hours in Lucca. Just to the north of Lucca you’ll find a patch of deep hillside that adds quite a bit of atmosphere to Lucca’s cityscape. But rather than just being a backdrop, this region is also home to the steep and picturesque Serchio Valley. 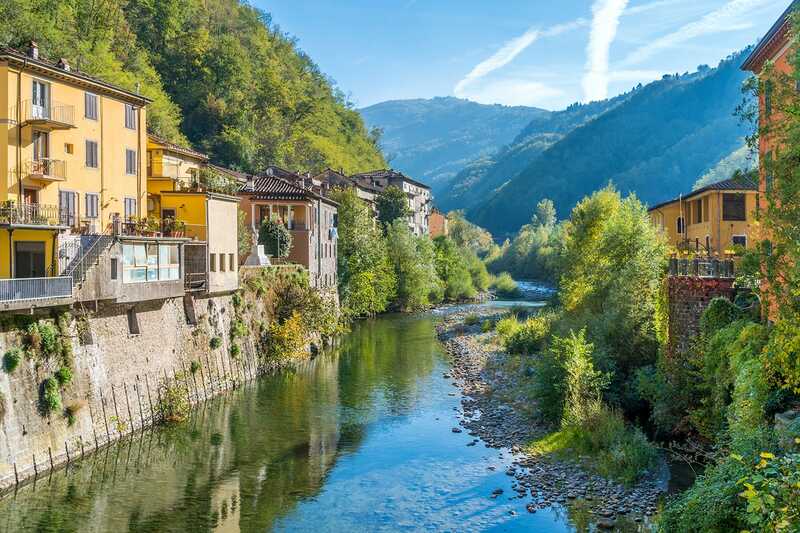 Along this river valley you’ll find a number of quaint villages like Bagni di Lucca, but also some utterly gorgeous bridges like the Ponte della Maddalena which have spanned the Serchio River for centuries. Lucca isn’t the only small city in this part of Tuscany. The better known city of Pisa is just a short trip southwest of Lucca, making it a really easy place to visit for the day. And although people mostly know of Pisa for its world famous Leaning Tower, that’s not the only thing for tourists to see there. 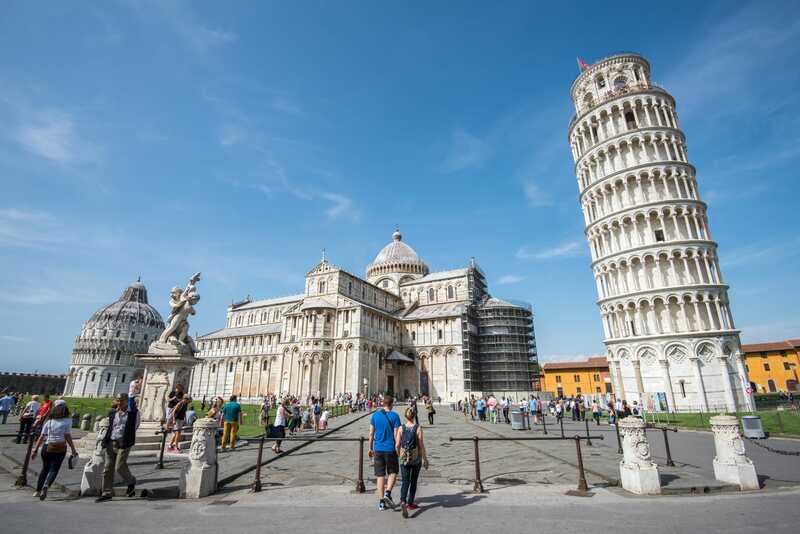 Just nearby you’ll find the equally picturesque Pisa Cathedral and Baptistery, not to mention the beautiful Renaissance buildings that surround Piazza dei Cavalieri. 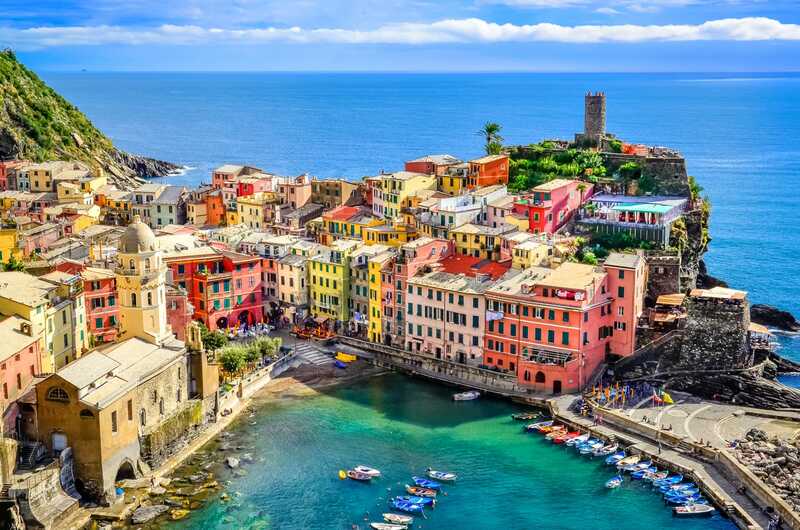 It may not be in Tuscany, but the Cinque Terre is definitely worth the bit of extra travel time it takes to get there. North along the coast from Lucca, the Cinque Terre is a treasured national park. 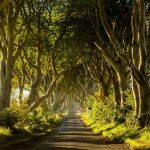 The national park is home to five idyllic villages which cling to the region’s scenic coastline. 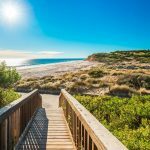 With beaches, hiking trails, and plenty of food and wine on offer, there are certainly worse ways to spend a day. For more on travel to Cinque Terre, check out our detailed Cinque Terre guide with everything you need to know to visit. And that’s it – you now have a comprehensive understanding of the best things to do in Lucca. 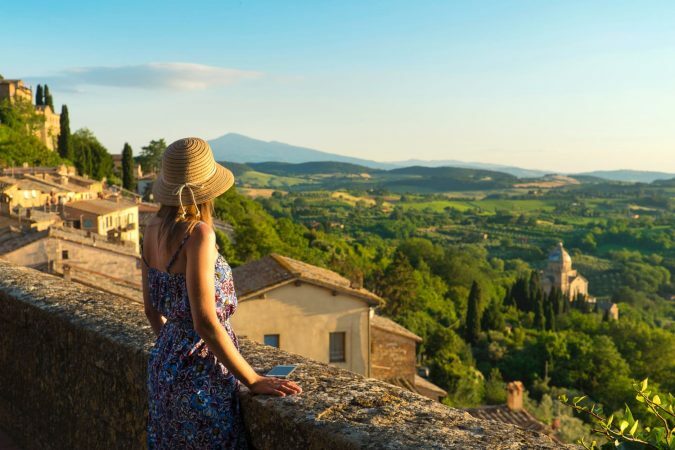 It should be clear now just how much you can plan on seeing during your short time in this beautiful Tuscan city.